Another successful roadside clean up by 18 local residents. They spent the morning of May 26, 2018 walking along the local roads and again there was bits of the oddest things people had tossed from their vehicles. 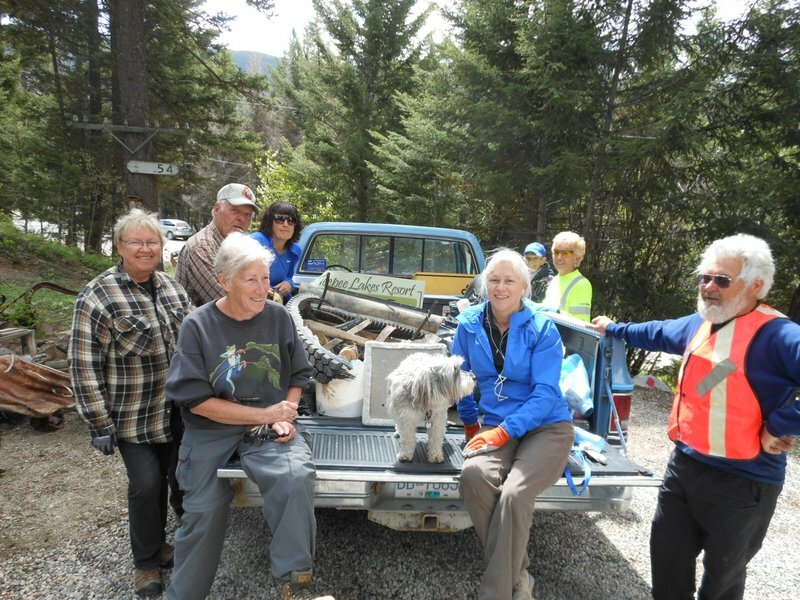 A large group of volunteers came out to Tellier's on Saturday May 28 for the Friends of Osprey Lake Cleanup. This year we dedicated the cleanup in the memory of a long time resident Jack Brock who was killed in a bicycle accident in Melaque, Mexico on Thursday March 24, 2016. 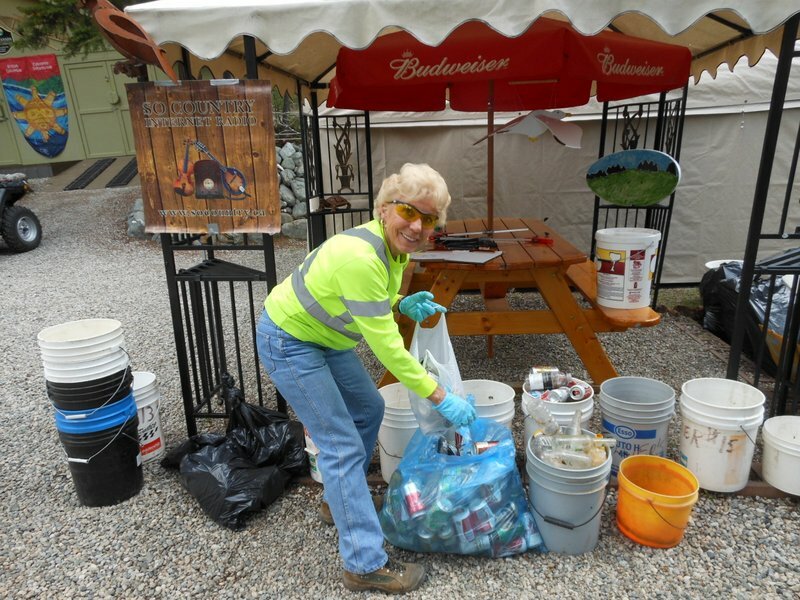 Jack always volunteered in our cleanups and while he was in Mexico he could be seen daily riding his bike with his 5 gallon white bucket picking up garbage. Today you will see other residents there picking up garbage from in front of their houses, businesses and many getting their own trash barrels. To the locals he was known as "The Big Gringo" who picked up the trash. Ride on Jack! 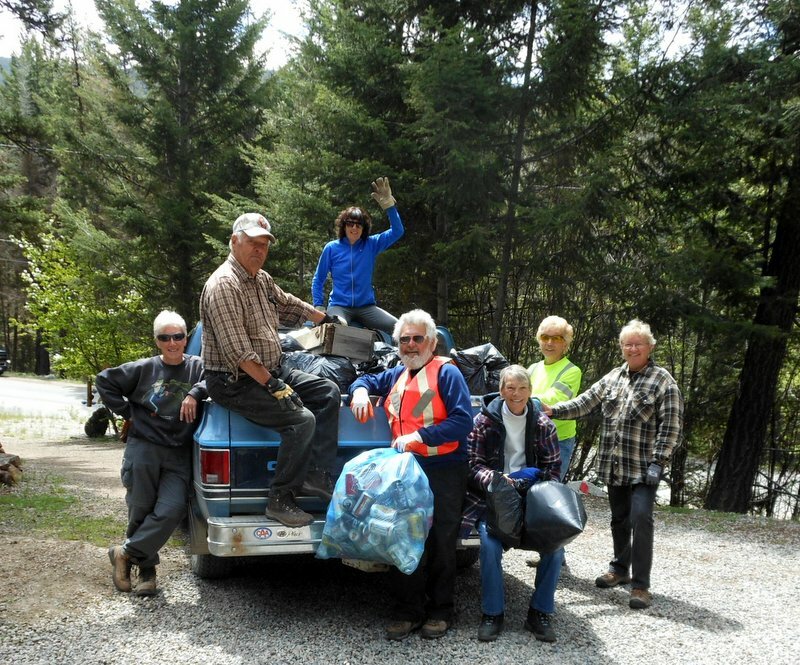 Over 700 pounds of trash and recyclables were collected by volunteers who covered over 40 kilometers of roadway, 7 kilometers of the Trans-Canada Trail, all boat accesses on Osprey and Link Lake plus the two forestry campsites. We scoured the roadsides from the Thirsk Lake Dam to the west Bankeir border near Siwash Rd. Volunteers walked, rode bicycles and used motorized vehicles to gather the litter. ​We would like to thank the Similkameen Spotlight for mentioning "The Friends of Osprey Lake" in a recent editorial. Many kudos ​also ​go to the volunteers who participated and our donors. Donors include the City of Princeton for waiving landfill fees, Argo Maintenance who supplied heavy duty garbage bags, Osprey Lake Ratepayers Association providing web advertising, and Bob and Joanice Sweeney for their financial contribution. Finally we recognize the effort and volunteer time of the drivers who delivered the trash to the landfill. Our community is proud of our area and we keep it safe and clean for all to enjoy!